For the treatment of all common intestinal worms including Roundworm, Hookworm, Whipworm, Tapeworm and Hydatid Tapeworm. 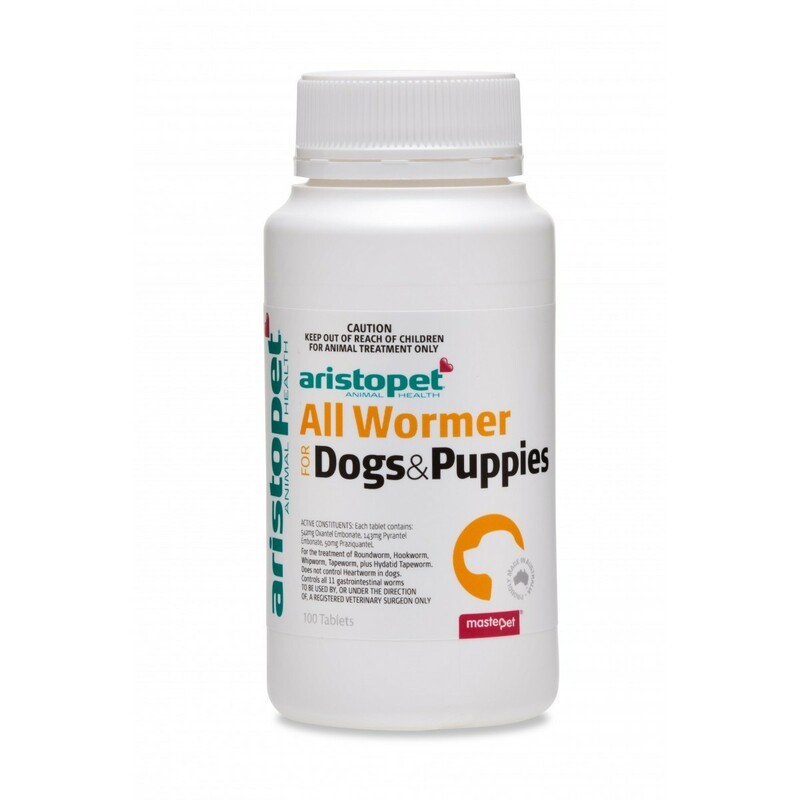 Aristopet All Wormer Tablets will treat and control all 11 intestinal worms such as: Roundworm (Toxocara canis, Toxascaris lenina), Hookworm (Ancylostoma caninum, Ancylostoma braziliense, Uncinaria stenocephala), Whipworm (Trichuris vulpis), Tapeworm ( Dipylidium caninum, Taenia ovis, Taenia hydatigena, Taenia pisiformis), plus Hydatid Tapeworm (Echinococcus granulosus). Dosage: The dosage will vary from 1/4 tablet for dog weighing 1.5-2.5kg to 1 full tablet for a dog weighing 5.1kg-10kg. For dogs over 10kg the dosage is 1 tablet per 10kg. An average treatment is one dose every 3 months however if your dog has been diagnosed on having one of the 11 worms types treated by this product, then please use the dosage suggested on the bottle or by your vet. 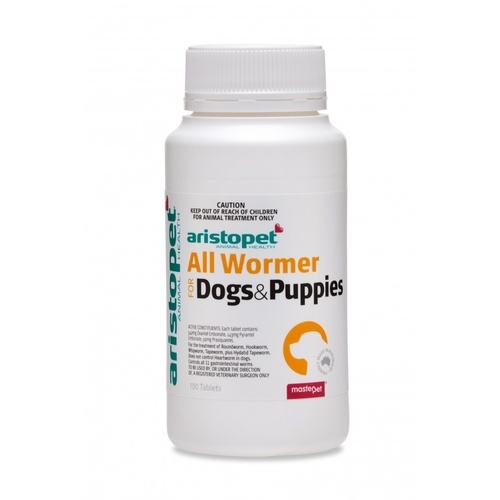 To ensure effective worm control, treat all dogs and cats in the household at the same time!